I've been asked by new bloggers before how I have managed to monetize (or make money) off of Yep, It's Prep. Ever since I monetized it a little over a year ago, I have managed to make thousands of dollars doing something I absolutely love. If you want to make money off of your blog, it is important to know how to do so effectively. Here are my tips to make it a breeze! This has to be the absolute easiest way to generate revenue. I use ShopStyle collective for almost all of my blog posts and I use RewardStyle for my Instagram posts (here are parts one and two of my guide on using ShopStyle Collective). Depending on which affiliate links service you use, income is generated in one of two ways: per click by your readers, or by purchase of that item by your readers. Some bloggers find more success with affiliate services that pay per click while others find more success in affiliate services that pay per purchase. I personally have found more success per click, but as my blog has grown more, I am starting to find success per purchase as well. Working with companies you enjoy and getting paid to voice your opinion is one of the coolest experiences ever–– trust me. I have worked with some truly amazing brands that I love (Anthropologie, Bobby Brown, and many others) and it's hard work but it pays off. Start by emailing smaller companies and offering to review their products for free but in exchange for free product, and then work your way up to a point where you can charge a base price for your services. Once you get to this level, design yourself a media kit to send out to potential companies so they can see your blog statistics, who you are, and what companies you have worked with in the past. This is super important, and it looks super professional. You can also charge for Instagram posts, tweets, and pins on Pinterest. Offer a piece of your sidebar for advertisement to a company that you truly love–– my advice would be to only offer this to companies that truly reflect your style though. You can charge for these on a monthly or weekly basis, and the prices can vary due to the amount of traffic your blog gets. Remember when I got YIP stickers made and I sold them? It seems like forever ago. It was so much fun and allowed me to be creative, and a lot of the money went straight to charity. P.S.–– I found a huge box of 500 YIP stickers the other day when cleaning out my car, so if you want to get your hands on one, email me! This is super important–– if you're using affiliate links on your blog, you must disclose this somewhere. My disclosure is at the very bottom of my blog in the footer area. It's against FCC rules not to disclose! You are also supposed to disclose whether a post is sponsored or not and what products are gifted to you, so keep this in mind! When you started off, did you wait for companies to email you, or were you proactive in emailing other companies? I feel like that's too bold for me! I don't know though! Thanks for this helpful post! Honestly it was a little bit of both–– I waited until I had around 3000 followers on instagram before I began directly emailing companies. It feels super weird at first, but the worst thing that can happen is that they say no! Thanks for sharing these tips! We're pretty new bloggers and we're always looking for new ways to improve! Great post Isabella! I would love to see a post on how to create a media kit!! Awesome post, Isabella. 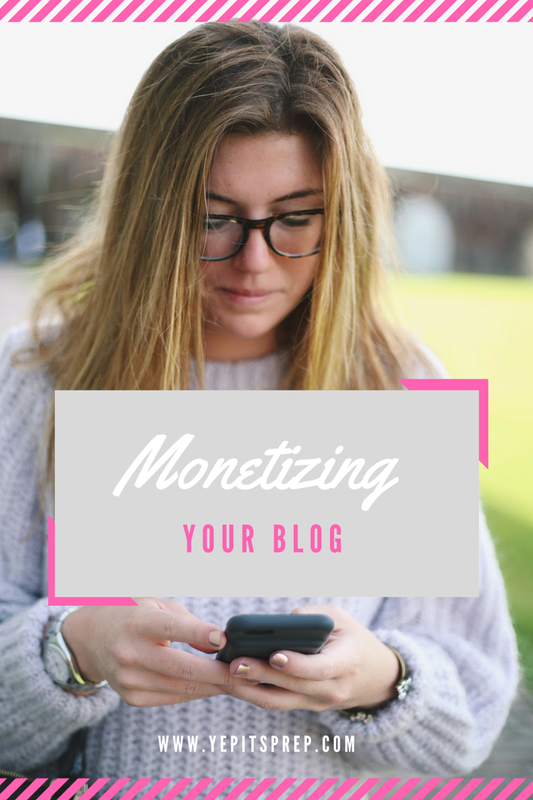 Really insightful and helpful for newer bloggers like myself who are looking to become more active in monetizing. I love these tips, Isabella! I hit the one year mark a few months ago so one of my goals is to work with more companies!